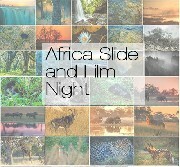 Africa Slide Night!! Come along and see photographs and short films, and hear stories about Mt Ki.. 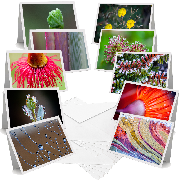 This photograph is printed on gloss archival photo paper and is framed. It's 69 x 94cm and depicts a.. This photograph is printed on gloss archival photo paper and is framed. It's 69 x 94cm and depicts r..
A beautiful mixture of macro images. 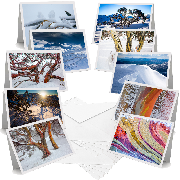 Our greeting cards are printed on 220gsm fine art cotton rag pa..
A beautiful mixture of Kosciuszko National Park photography. 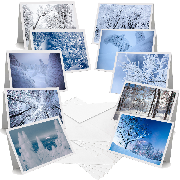 Our greeting cards are printed on 220gs..
A beautiful mixture of Japanese winter trees. 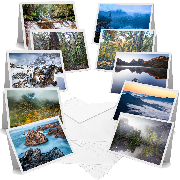 Our greeting cards are printed on 220gsm fine art cott..
A beautiful mixture of Tasmania landscape photography. 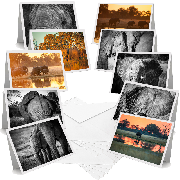 Our greeting cards are printed on 220gsm fine..
A beautiful mixture of African landscapes from Botswana and Zimbabwe. 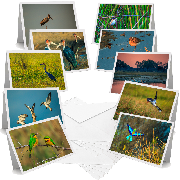 Our greeting cards are printed..
A beautiful mixture of African birds from Botswana and Zimbabwe. Birds include Marabou storks, Pied ..
A beautiful mixture of African mammals from Botswana and Zimbabwe. 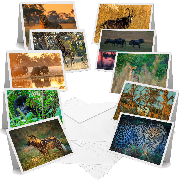 Mammals include African Wild Dog,..
A beautiful mixture of African Elephants from Botswana and Zimbabwe. 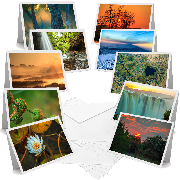 Our greeting cards are printed.. Thanks for your interest! Please add your name and email so we can get in touch if tickets become available.